TEL AVIV (Sputnik) - Israeli Prime Minister Benjamin Netanyahu on Monday held a phone conversation with Russian President Vladimir Putin, during which the two leaders discussed the Iran nuclear program, Syrian crisis and agreed to meet as soon as possible, the Israeli Prime Minister's Office said. The phone conversation took place following Netanyahu's announcement that the Israeli intelligence service managed to collect about half a tonne of secret materials, including 55,000 pages of text documents, proving that Iran possesses a nuclear weapons program, codenamed Project Amad. "Tonight, Prime Minister Benjamin Netanyahu had a phone conversation with Russian President Vladimir Putin after the publication of documents on Iranian nuclear arms program. The two leaders have also discussed the situation in Syria and agreed to meet as soon as possible," the Israeli prime minister's office said in its statement. Also, the Kremlin said in a statement that Vladimir Putin confirmed Russia’s stance that Iranian nuclear deal must be strictly observed by all parties to the accord during the telephone talks. 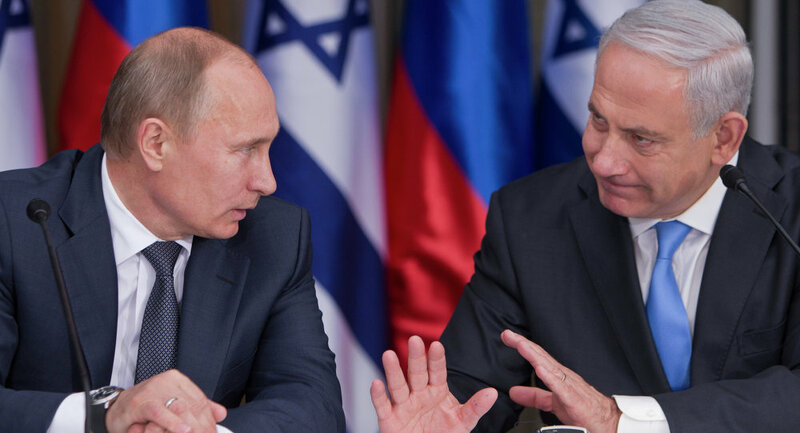 "At the initiative of the Israeli side, Russian President Vladimir Putin held a telephone conversation with Israeli Prime Minister Benjamin Netanyahu. They discussed the situation around the Joint Comprehensive Plan of Action (JCPOA), taking into account the statement made today by the Israeli prime minister in this regard. Vladimir Putin reiterated Russia's position that the JCPOA, which is of paramount importance for ensuring international stability and security, must be strictly observed by all parties," the statement said.